Wowsers! May almost got away from us! We've had so many new collections arriving, we've been preoccupied with cutting up lots of lovely fabrics! 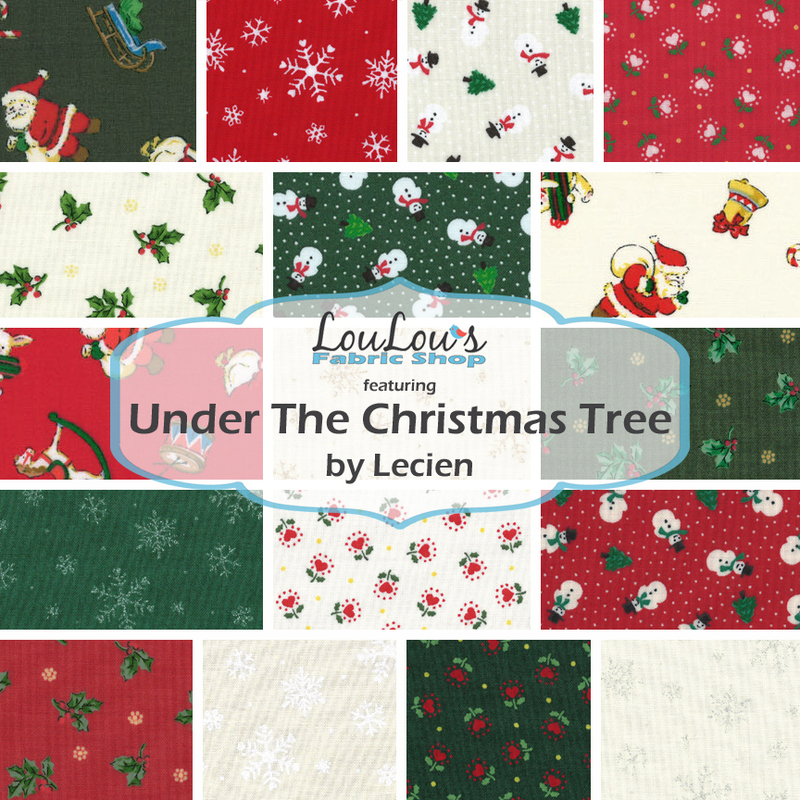 This month we are giving away a fat quarter bundle of Under The Christmas Tree by Lecien. It's time to get geared up for Holiday sewing and what a great way to get started! Under the Christmas Tree features the classic red, white and green Christmas colors in cute vintagey (I don't think that's a word) prints. I'm thinking stockings, tree skirts, ornaments, a throw to put in a basket by the fireplace that's adorned with your family stockings......limitless options with this classic collection. To enter, tell us what your favorite holiday sewing project is! Then, find us on Facebook, Instagram and Twitter and enter there too! Good luck! I am a traditionalist and I love a nice warm lap quilt. I like making table runners and wall hangings for presents. They are quick and easy to do! I like making decorations for the holidays. This year I'm going to be making a couple of Christmas lap quilts. This line looks perfect! Thanks for the giveaway. This is such a pretty Christmas line. Thank you for the give away opportunity. This year I am going to make some pillows along with a lap quilt for my daughter's family! Yeah! I would like to try quilted ornaments like I saw on Tasha Noel's market booth! I love making Christmas wall hangings place mats, and runners. I love the traditional reds and greens. Thank you for a lovely giveaway. New quilt for the bed. Lately, I have been enjoying making Christmas wall hangings, place mats, and stockings. Thanks! kitchen pot holders, mitts & decorated towels for Christmas! Little Christmas pillows and quilts for the kids. I'm excited to try sewing up a couple of stockings this year! Love this fabric! I used to be into tree skirts, but am kind of liking pillows now!